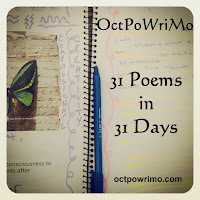 OctPoWriMo is a poetry month in October for poets all over the world to write 31 poems in 31 days. This blog and all of its volunteers are here to inspire, motivate, support, and cheer you on during this poetry adventure. Starting today, the rest of September we will have daily posts filled with tips and resources to learn from while getting ready for the main event. Starting the first of October we will have daily prompts that you can choose to use or not. Either way you are free to link up your poems daily. Even if you don't think of yourself as a poet you can join in on the fun. If you have nightmares about poetry from school, check out my post Fear of Poetry and maybe you will decide to join us anyway. 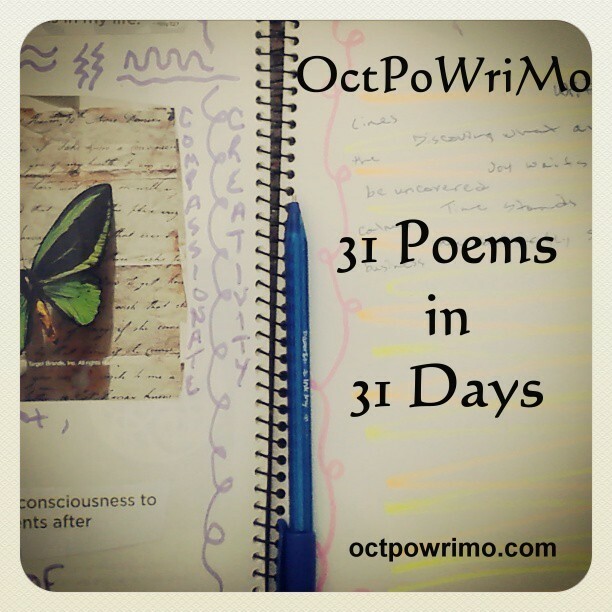 It is my pleasure to introduce the talented and inspiring women that have volunteered to help with the 2013 OctPoWriMo: 31 Poems in 31 Days! Once again Julie Jordan Scott has decided to join this crazy poetry adventure. As some of you know I couldn't have handled this without her last year. Julie added richness and depth to this journey of OctPoWriMo: 31 Poems in 31 Days that I am positive would have been lacking if she hadn't helped me in 2012. I can't wait to see what she has in store for us this year! I believe I met Janet Parfitt in Row80, a supportive online writing group that knows you have a life, and we connected through some of our writing and similarities of like mindedness. I believe she has a wildness just under the surface that she allows us to peak at once in awhile. It will be interesting to see how it comes out in OctPoWriMo. Linda Roy and I met during last years OctPoWriMo and we have meandered in and out of each other's lives ever since. I love her "I don't like Mondays blog hop" and her humor as she handles her day to day life is irreplaceable. Amy Phelps McGrath, if there is such a thing as a soul twin she is it for me. Her poetry speaks to me on many levels and her comments confirm how much we have in common. I believe that we are connected in ways that we haven't even discovered yet and I look forward to each and every new experience. Nimue, silently watched last year's OctPoWriMo and decided to be brave this year and join our team. I look forward to getting to know her better through this poetry journey. I am sure she has a lot to contribute to OctPoWriMo. 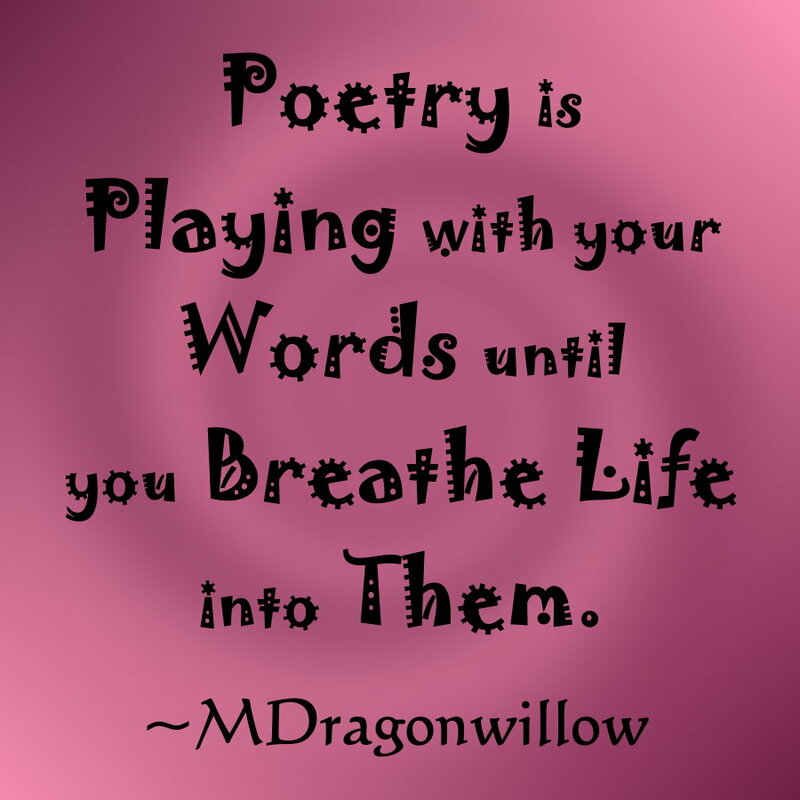 And me... Morgan Dragonwillow, if you were drawn here like most, because you love poetry, you may or may not know I am the Creatrix of OctPoWriMo. 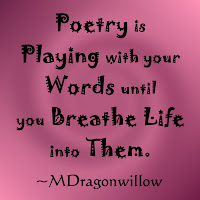 I am glad you decided to check us out and I hope you decide to join us on this wild poetry journey! You can learn more about each of us, on the Creatrix and Contributors page or check out each of our blogs. We have a wonderful line up for you and we will be sharing poetry tips, videos, other poets, books, links and other resources involving poetry helping you to get ready for OctPoWriMo in October. Remember to feed your poets, leave your thoughts in the comments, share with your friends and followers with the hashtag #OctPoWriMo, and come back to join in on the fun! Thanks Nimue, I enjoy creating them!